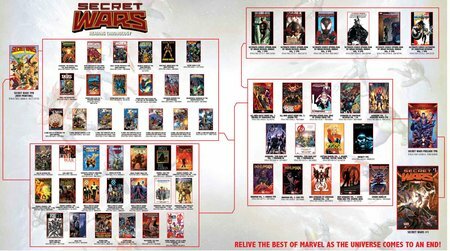 Come on, do people really need to read Future Imperfect or Weirdworld or Secret Wars II just to get the references coming up? Probably not. But it wasn’t until I read Convergence that I realized it was at least rather smart of Marvel to present readers the option. DC identified 41 “Universes” that will be mashed together like the Darth Vaders, Soundwaves and Man-E-Faces of my youth. Some of them span thousands of comics, while one of them barely spans a comic book at all. A great many of them are completely out of print. One of them seems to confuse Atlanta with Seattle. Without doing all that much research, here is your Buyers Guide to the World of Convergence! Pre-Crisis 30th Century Metropolis: The original Legion of Super-Heroes continuity has plenty of Showcase and Archive collections published, but Amazon suggests most of them are out of print. Over on Comixology you can get a couple dozen issues of the original Adventure Comics run, a decent portion of the 1984 title, and then nearly all of the 1990 relaunch which consists of Keith Giffen and co.’s controversial revamping of the book followed by a complete reboot sixty-two issues in. 31st Century Metropolois: A bit of a misnomer since this continuity was published from 1994-2004 so the majority of the run was published in the 20th century and takes place in the 30th century. Completely out of print on paper, but all of the issues of the 1990 Legion of Super-Heroes title post-reboot are are available. Of course, this series tied in every month to the concurrent Legionairres title which is not available anywhere. Even better, the guide says the first appearance of this reality was Legionnaires #1, which pre-dates the reboot by over a year and is instead some sort of weird clone/Time Trapper story I don’t even remember the resolution to, but is conclusively neither accessible nor what this ‘world’ will be based on, even if anyone had the means to purchase and read it. Bizarro World: There are plenty of Bizarro Comics available, and some of them even feature Bizarro Earth. The appearances of Silver Age Bizarro Earth seem relegated to some out of print Showcase phonebooks, and are apparently too silly to be digitized. There’s always All-Star Superman, I guess. Bottle City of Kandor: I’m sure Kandor is in some comics that have been reprinted or digitized in the past few years, but its first appearance touted here sure isn’t accessible, and not much pre-Crisis Superman is in general. 853rd Century Metropolis: The DC 1,000,000 series is in print as a handsome $100 hardcover as well as digitally (though for some reason four of them are missing if you go to the DC1M Comixology page) so success! People can read the story of 853rd Century Metropolis if they have a lot of time and money on their hands. Atlanta, Georgia: From the short-lived 1980s series Hex, featuring Jonah Hex hurtled through time to land in futuristic 21st Century… Seattle. Where he spends a lot of time in the Space Needle. In later issues he visits New York City and Gotham, but I don’t believe Atlanta is ever mentioned. Maybe tie-ins will reveal an even stranger guest star living in this reality’s Atlanta. Entirely out of print on paper, but the last three issues (and only the last three issues) are available on Comixology. Cap’s Hobby Shop World: One of the few things about this storyline that intrigues me. I only remember Cap’s Hobby Hints (and Cap’s store, Cap’s Hobby Center) as a space-filling half-page comic strip in my dad’s old DC books from the 1960s, and it doesn’t appear to have any sort of comic series of its own. So instead of showing a CHH/CHC/CHS cover, they show a random issue of Sugar & Spike. I don’t know why, it seems likely that Cap ran as space-filler in Sugar and Spike, but it also ran in books like Superman and Batman from time to time. Don’t worry about getting all of this mixed up though, because none of Cap, Sugar, or Spike’s adventures are available for you to purchase, in print or digitally. Central City, Tangent Universe: Now Tangent, all of Tangent is available digitally. The trades appear to be out of print, but despite this being at least the fourth attempt to make the Tangent characters relevant, I am reasonably sure no one has ever cared about them. Read their adventures and prove me wrong, world. Durvale: None of the original Atomic Knights stories are available digitally, but there’s a handsome hardcover and a big Showcase that seem to still be available direct from Amazon. Earth-2, Post-Flashpoint Universe: This has all been published in the past four years, and is easily accessible. El Inferno: A one-shot that is long out of print as a book, but currently available on Comixology. Electropolis: Lady Quark’s planet only appeared in Crisis on Infinite Earths which is readily available. I don’t think any place in her world was called Electropolis before, but that is the name of a 2001 Image series by Dean Motter. That series is out of print, and also has nothing to do with Convergence. Earth-A: An alternate world that only appeared in Justice League of America #37-38 back in 1965. Both issues are available digitally and in the first Crisis on Multiple Earths trade, which is out of print. Earth C-Minus: The counterpart reality to Captain Carrot’s world, where there are funny animal versions of the JLA. Available in the Captain Carrot Showcase volume, but not digitally. Fawcett City, Earth-S: All of the Captain Marvel/Shazam paper collections look to be out of print, and have never been available digitally. Follywood, California: The homebase of Captain Carrot, that Showcase volume is kicking around, and the first issue was added to Comixology awhile back. Pre-Crisis Earth-One Gotham City: This covers literally thousand of comics, and certainly many of them can be obtained. No idea why they pick Detective Comics #362 as the cover to emblemize this era, especially when they kind of arbitrarily declare it “first appeared” in Detective Comics #327, but maybe we’ll find out. Neither of those comics are available for purchase. Pre-Flashpoint Gotham City: This also effectively covers thousands of comics, and for some reason they state that the “pre-Flashpoint Universe” begins in Zero Hour #0, which wasn’t really a reboot, and even if it was considered a reboot was supplanted by the time Batman #670 (the cover on display) came out by NEW EARTH after Infinite Crisis. Gotham City, Gaslight Universe: Hey, an Elseworlds that is easily to buy physically or digitally! Hilariously, the collected edition (featuring both Gotham by Gaslight and its sequel Master of the Future) is $12.99 in both formats, while you can purchase the two individual stories digitally for $2.99 apiece, or a total of $5.98. Gotham City, Injustice Universe: This series was launched a little more two years ago, so it’s not surprising that all of the issues are easy to purchase in both formats. Flashpoint Gotham City: Don’t worry, 2011s’ unforgettable reality-smashing event is available in its entirety on Comixology and as a collected print edition. Gotham City, Batman Beyond Universe: It looks like pretty much all of the different Batman Beyond comics are on Comixology, and I don’t care enough to figure out the print history of trades. But all of this is likely moot, since it looks like the Batman Beyond in Convergence will be Tim Drake from 2019 after Terry McGuinness was murdered by a Batman/Joker cyborg. Sorry Terry fans! If it’s any consolation, he got to lose his virginity to a supervillain before being murdered. Gotham City, Just Imagine Universe: None of these Stan Lee reimaginings seem to be available on Comixology, though a big hardcover omnibus was published in 2013 and seems to still be out there. Did anyone read this? Is it more or fewer people than those that read Tangent? Gotham City, Post-Flashpoint Universe: Hey, this is getting published right now! You can go buy them if you like. A lot of people seem to. Gotham City, Red Rain Universe: The 2007 collection called Batman: Vampire is still kicking around in print, but only the first volume (Red Rain) is available digitally. You probably won’t find it searching for “Red Rain” since it’s filed as a single issue under “DC Elseworlds” though. Hub City, Earth-Four: This is basically the world of Charlton Comics, which are only accessible in some out of print Archive collections. Metropolis, Earth-Three: Similar to Earth-A, these issues are up on Comixology, and were previously reprinted in Crisis on Multiple Earths collections before they fell out of print. You’d think that you would want your Crises on Multiple Earths to be in print when you publish a series predicated on multiple earths experiences crises. Metropolis, Kingdom Come Universe: Still easy to get as a physical book, digital comic, or politely forgotten Jay-Z album. Pre-Crisis Earth-Two Metropolis: Okay, this is just the world of Golden Age DC Superhero Comics. Except they state the first appearance of it is Flash #123, the “Flash of Two Worlds” story which introduces the concept of multiple Earths but also doesn’t feature Metropolis at all, and is really only where they introduce the concept of “Earth-Two” after a few hundred comics featuring “Earth-Two” Superman were already published. They even show Superman #1 from 1939 as the cover to epitomize this world. There are a handful of Golden Age Superman comics on Comixology, and they’ve been reprinted enough times I assume there are paper collections floating around a lot of places. Pre-Zero Hour Metropolis: Okay, so “Pre-Zero Hour” is now the term for “Post-Crisis” DC from 1986-1994. A bunch of this is available on Comixology and DC has been reprinting is under the “Man of Steel” brand, though it looks like it petered out a year ago and only got up to 1988. Metropolis, Superman Generations Universe: This series of mini-series appears to have been out of print for years, and was never offered digitally. Metropolis, Superman Red/Blue Universe: Pretty sure this was a one-off “Imaginary Story” from Superman #162. Reprinted back in the 1980s in The Greatest Superman Ever Told, never offered digitally. Moscow, Russia: Thirty-three issues in, we hit a city that is not in a United States of America! Red Son is available in both formats. New York City, 35 Years Later Post-Flashpoint Universe: Futures End just finished today with issue 48, and is still easily available for anyone who might want it. Unless you want to purchase trade paperbacks of the series, in that case you’ll have to wait until July 2015 for the second of four collections to come out. New York City, Earth-X: The original Freedom Fighters series doesn’t appear to have been ever collected, nor is it available digitally. Qward, Anti-Matter Universe: No idea what version of Qward this is supposed to be, but it’s probably in some Green Lantern comics you can find somewhere. New York City, Angor: Justice League Europe, the apparent source of this Angor, is up on Comixology (at least through the first appearance of Angor) but isn’t in any printed collections I’m aware of. New York City, Earth-AD: Kamandi has been reprinted a couple of times in overpriced hardcovers, but they’re all out of print. You can grab the first 27 issues on Comixology, though. San Diego, California: This is the ‘original’ Wildstorm universe, before DC bought them out. None of those issues have been collected in any format by DC, to the best of my knowledge. They’re definitely not on Comixology. Skartaris: The world of Mike Grell’s Warlord! Issues #114 and #115 are on Comixology for some goddamn reason, and the first couple dozen issues were thrown into a Showcase back in 2009. Otherwise, hope you remember reading and enjoying comics last sold over thirty years ago! Vanishing Point: This turned up in a not-really-a-tie-in-to-The Return of Bruce Wayne mini-series a few years back, which is in print in both formats. 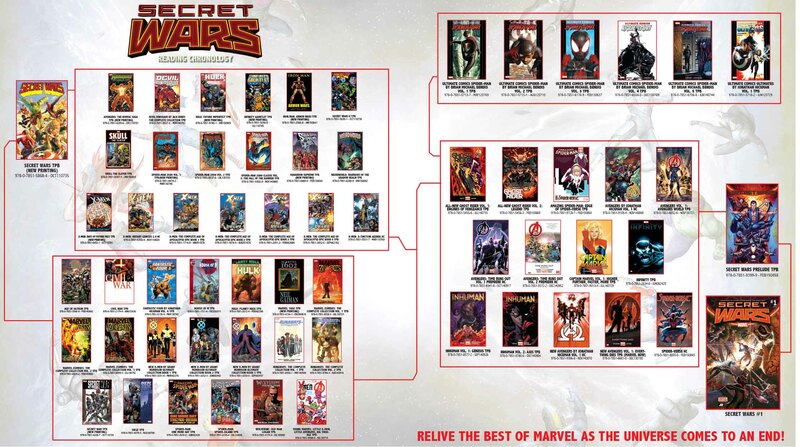 I probably missed a few collections, and I don’t really find Comixology user-friendly for back issues, so any corrections or addendums would be greatly appreciated.